Alzheimer’s disease is a mystery in many aspects, but we understand some the factors that contribute the plaque build-up and loss of cognitive function and how to slow it down. For example, it is now evident that inactivity and high-carb diets with heavily processed foods contribute to the progression of Alzheimer’s, while ketones and low-carb diets have potent positive effects on the brains of healthy people and Alzheimer’s patients. The current evidence suggests that supplementing with ketones and/or following the ketogenic diet is a safe and effective approach for helping improve cognitive function in people with Alzheimer’s Disease with the potential to stop the disease from progressing entirely. Some animal model evidence even suggests that the disease can be reversed. With that being said, we need to take a multifaceted approach to treating Alzheimer’s disease for the best results. 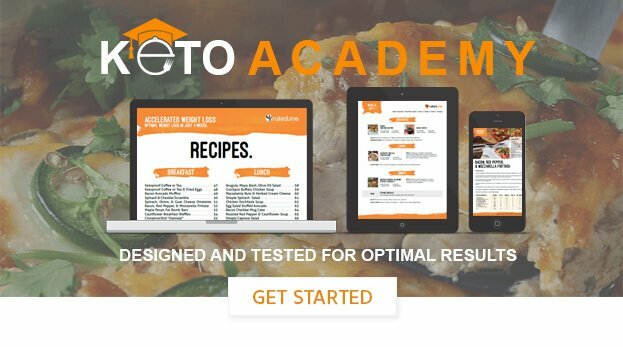 Adopt a low-carb, high-fat ketogenic diet. Consult our beginner’s guide to learn how to follow the diet and what to expect. Supplement with ketones by taking MCTs or ketone esters. Eat primarily whole foods, especially low-carb cruciferous vegetables. Consume plenty of omega-3-rich fats. Try supplementing with curcumin and b vitamins. Sleep for at least 7-9 hours a night. Try something new and learn every day. To learn more about how you can help protect your brain and possibly even reverse Alzheimer’s disease, click here.